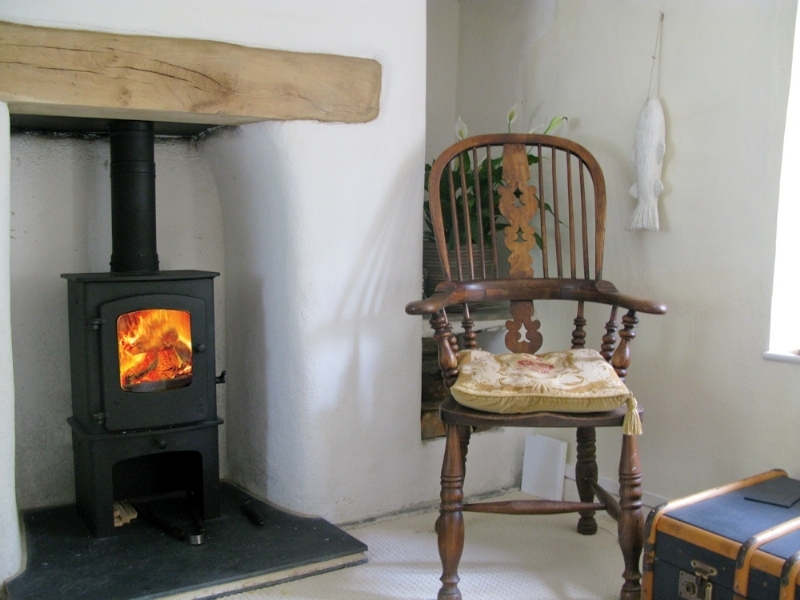 Charnwood Cove with log store installation wood burning stove installation from Kernow Fires. 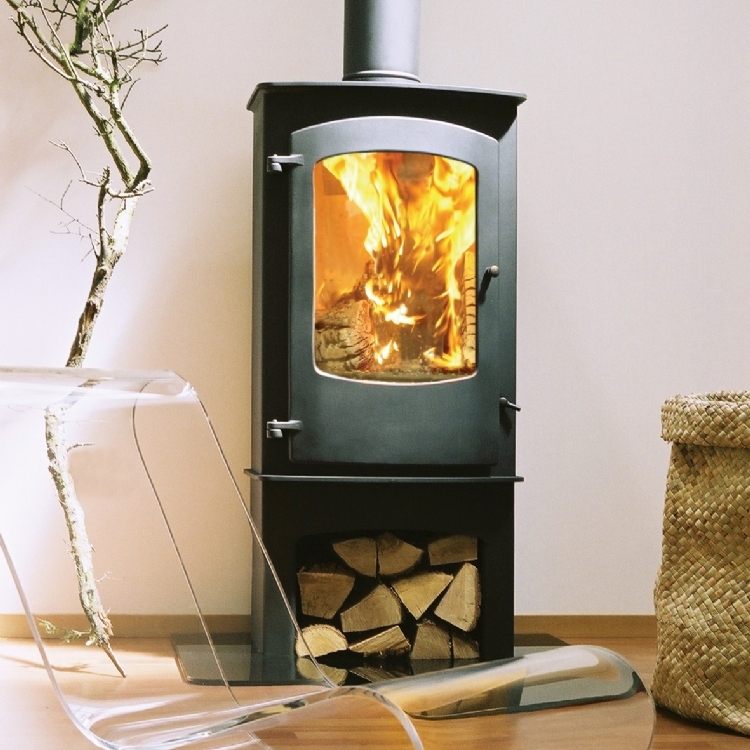 Customer Aspiration: A stove that would look balanced in this tall aperture, with a heat output small enough not to overpower the room. 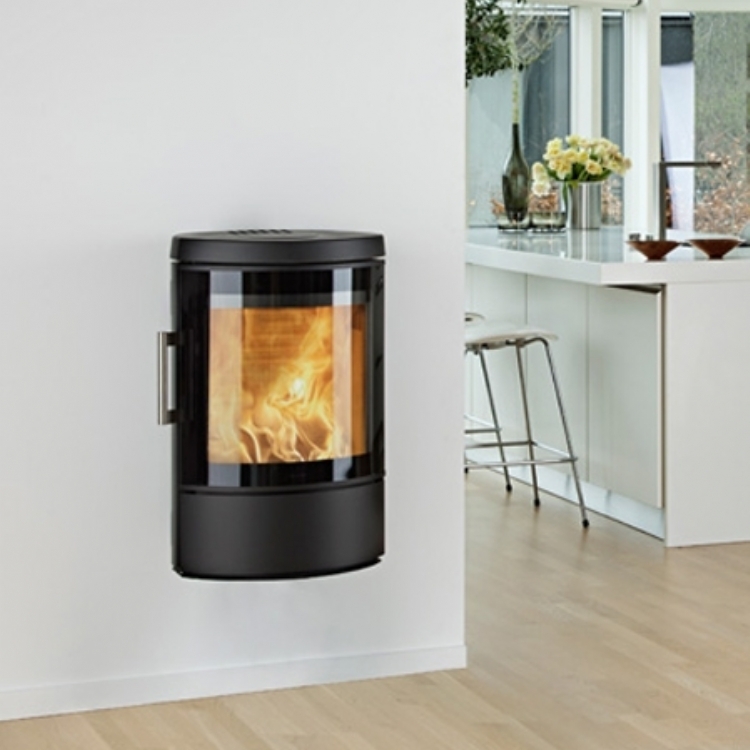 Special requirements: Replacing the hearth to meet current regulations and ensuring the distance between the flue pipe and the wooden lintel is sufficient. 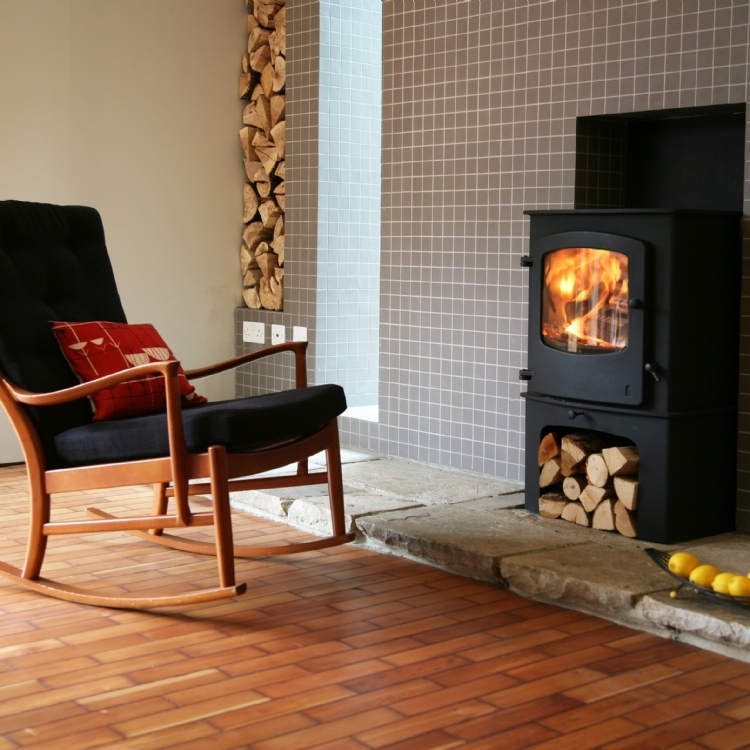 The Charnwood Cove created the perfect balance for what is a very traditional and homely room meeting both the heat and aesthetic requirements for the customer. 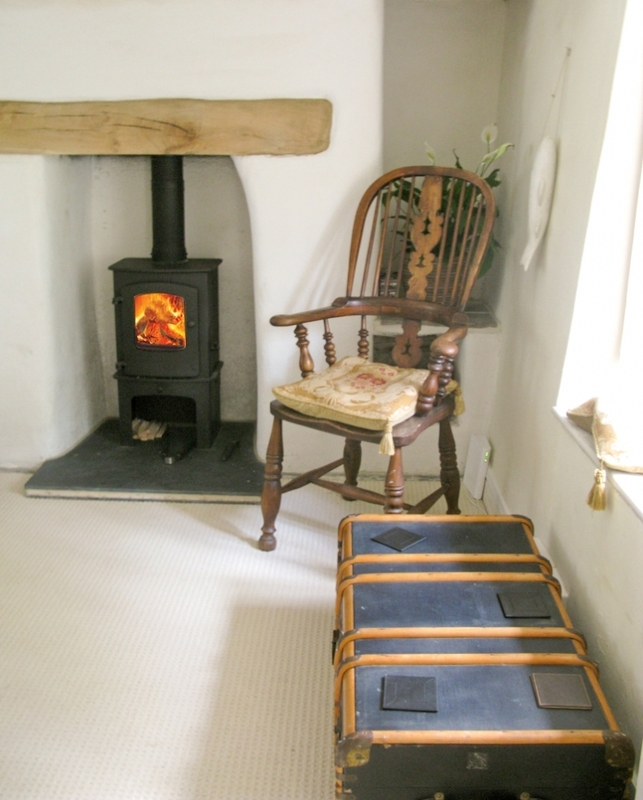 The log store under the stove also provides a handy place for logs which helps to keep the room clutter free.